I have been recently considering this model again and how this impacts my teaching and the progress of my students. 1. What do the students say they need? 2. What does the research recommend as likely to be effective? 3. How can I implement the research? 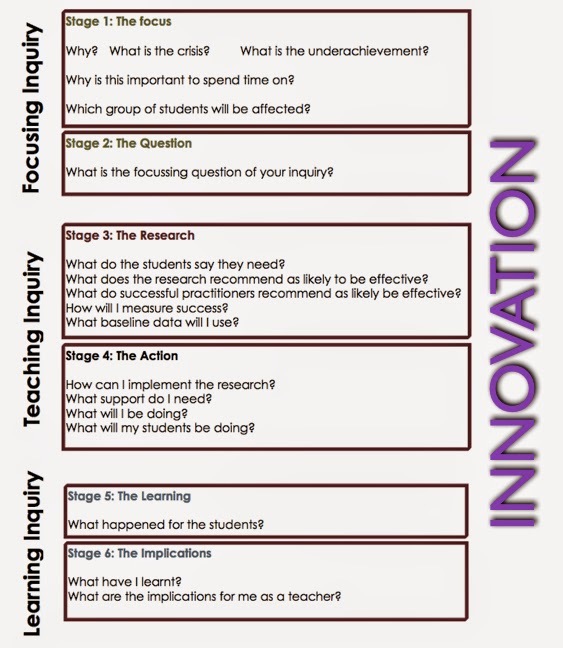 I have also been considering how my students might use this learning inquiry to benefit their own learning. I have noticed that when I give my students the opportunity to design and undertake their own line of inquiry in literacy their quality of thought and sharing has increased exponentially. Watch this space!